The Pegasus Constellation, which is said to represent a winged horse, is seen here in the northern hemisphere from August through December. The part of this constellation that we're looking for is a large square (the Great Square of Pegasus) and a much smaller triangle contiguous to the northern corner of the square's leading edge. The square--which is not perfectly shaped--is formed by four of Pegasus's stars. The star forming the square's northernmost leading corner also serves as the triangle's trailing corner. 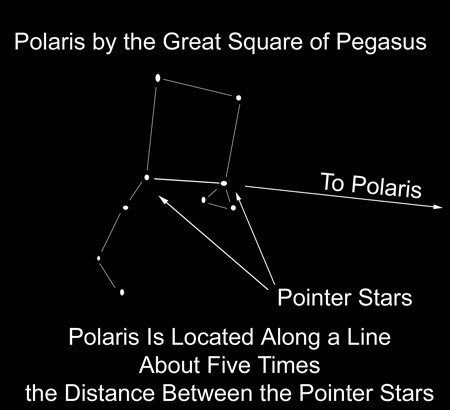 To find Polaris by Pegasus, imagine a line beginning at the star on the square's leading edge, at the corner opposite the triangle. Now, imagine this line proceeding out from this corner star, and through the star which forms both the other corner of the square's leading edge, as well as the trailing corner of the triangle. Next, in your mind's eye extend this line straight out five times the distance between the two corner stars just mentioned, and you'll find Polaris. Of course, if the north sky is cloudy, or if Polaris is otherwise blocked from view, at least you'll know where Polaris is even though you can't see it. 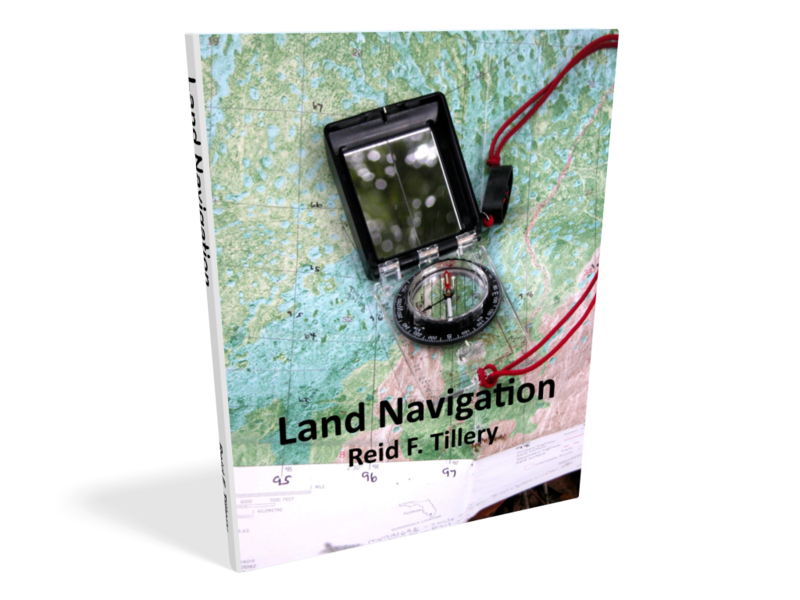 Knowing where Polaris is, draw a line in your mind's eye from that spot straight down to the horizon to find true north.